Firefighters in Greece are battling massive wildfires on the outskirts of Athens, and more fires in the southern Peloponnese peninsula which have forced hundreds of villagers to flee. The blaze outside the capital spread quickly, fanned by strong winds and devouring parts of hillsides popular with hikers and tourists. Parts of the city is in thick smoke. Crews fought to keep the flames away from nearby residential areas. At least 45 firefighters with 18 engines, a water-dropping plane and two helicopters were battling the blaze, along with volunteers, the fire department said in a statement. Separately, several villages were evacuated in the southern Peloponnese as wildfires burned through rural land in the Lakonia region. The flames, near the town of Monemvasia, forced one fire-fighting aircraft to make an emergency landing, according to reports. “It’s hellish right now, there are hundreds of pockets of fire,” Iraklis Trichilis, mayor of the town of Monemvassia, earlier told Skai television. Local media reported two summer camps and a health center in the seaside town of Neapoli had been evacuated. 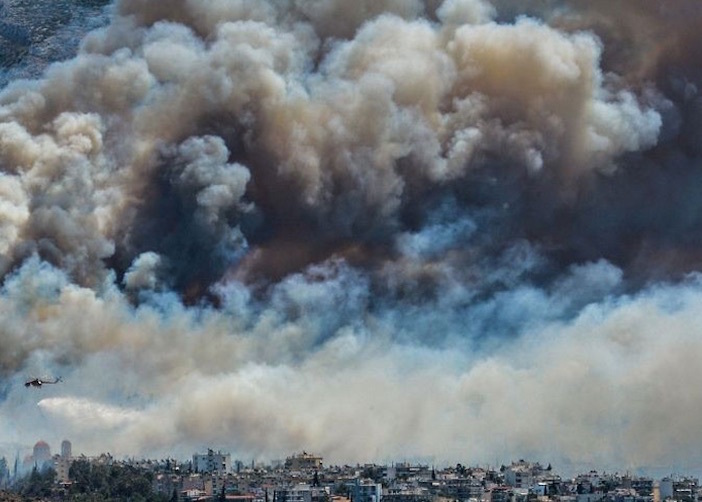 The fire outside Athens, fanned by strong winds, burned through woodland on Mount Hymettus, forcing some residents to flee their homes, Greece’s Kathimerini newspaper said. 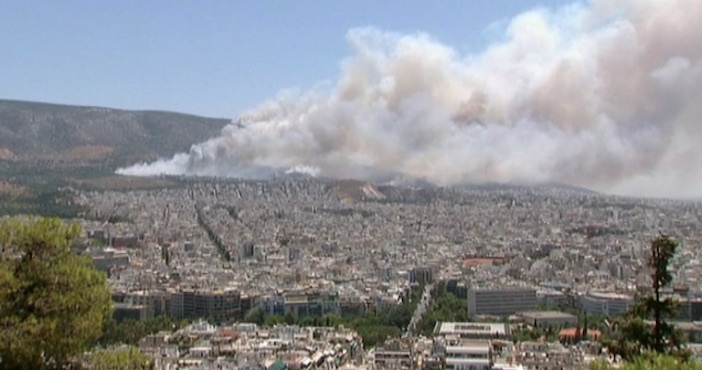 Although forest fires are not unusual in Greece, local media say these are bigger than in recent years. Smaller blazes had started in Koropi, near Athens, and on the island of Evia. Prime Minister Alexis Tsipras said Greece has requested help from his country’s army and air force, as well as the European emergency response center. 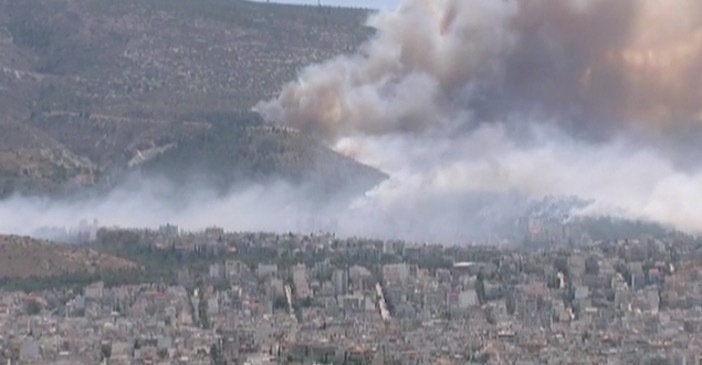 Two water-dropping planes had taken off from the country’s second largest city of Thessaloniki in the north to assist with the Athens blaze, he said.